You are here: Home / Big Day of Giving / And the Winner Is…. 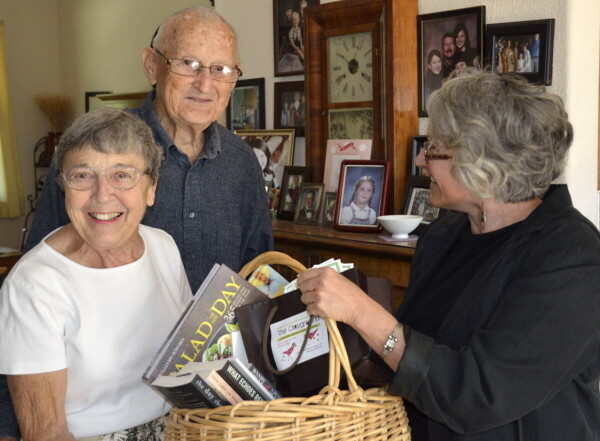 Hap and Maj Hapworth are the lucky winners of the Winters Literary Treasure Basket! Long time WFoL and Library supporters, Maj and Hap expressed their pleasure at how the library and it’s programs have grown.